Proper monitoring is essential for accomplishing success in every business. Consequently, it is wise to determine the Key Performance Indicators (KPIs) for efficient fleet management. As a result, fleet managers begun to utilize Driver Performance KPIs for recognizing the capability of each driver and reward them accordingly. Nevertheless, it is not an apt decision to wait until a hazard occurs, incur the losses, and later implement a policy to overcome it. However, the task of fleet managers is complicated, since they should manage the fleet drivers and at the same time enhance the bottom line. Furthermore, the complexity of their task increases if they cannot view drivers routinely. Without the support of adequate tools and techniques, you will never be able to appraise the driver’s performance . Certain reliable and prominent determinants of the driver performance include the vehicle damage, customer feedback, fines or penalties for unacceptable driving behaviors. Meanwhile, the implementation of the right tools and procedures enable you to monitor driver performance constantly. Engine start and stop items determine the efficiency and schedule adherence of fleet drivers. Moreover, when a driver becomes late to start a vehicle, a delay occurs in the schedule, and will have to drive hastily. This increases the accident risk and wastage of resources. As a matter of fact, it is imprudent to run the car engine while you ferry flammable or hazardous cargo. For this reason, it is crucial to educate the drivers regarding it and evade such adverse circumstances. In order to commit effective monitoring, you should install GPS engine monitoring system that enables you to monitor engine, while loading and unloading dangerous cargo. Speeding is another category that determines the safety and conformity of drivers. The question is “how to recognize the speeding habits of each driver?” One way is to install devices that provide real-time alerts whenever your vehicle is exceeding the speed limit. 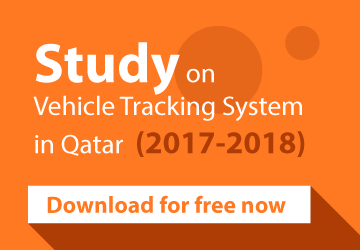 With the assistance of a GPS tracking system, you will be able to track the speed of each vehicle and thereby compare it with the speed limits established there. As a result, you will obtain accurate data on vehicle speeding. Based on the data regarding acceleration and braking (deceleration), you can realize whether the driver is reckless or threatening. On the other hand, harsh acceleration and braking can actuate excessive vehicle wear and tear. Idling is an unfavorable driving behavior, as it wastes time, money, and resources. With the tracking system, you will be able to discover drivers, who idle vehicle for a longer duration. By lowering vehicle idling, you will be able to improve fuel efficiency and reduce the carbon footprint caused by your vehicle fleets. At the same time, the inability to track idle hours can curtail your Return On Investment (ROI). With the GPS trackers, you will be able to track whether the drivers follow the designated routes or not. In fact, you will also be able to compare the route chosen by drivers with the optimized route and ensure whether it enhances the profitability of the fleet business or not. In addition, you will be able to recognize the drivers, who intentionally deviate from the scheduled route. Henceforth, the GPS tracking system enables you to realize the wasteful driving behavior of each driver. Ordinarily, drivers violates safety rules, once they comprehend that there is no proper monitoring. If your fleet driver violates safety rules, you will be liable to pay fines, which adversely affect the reputation of your fleet business. At times, you should spend an immense compensation due to accidents caused by your vehicle fleet. Hence, road safety compliance is another category that assesses the driver’s performance on the road. The above 6 driver performance indicators indeed have a rippling effect on the bottom line of your fleet business. In order to circumvent the negative consequences, it is wise to install a GPS vehicle tracking system for your fleet business, which safeguard your business from financial crisis.